It is no secret that water supplies are limited in Texas. In fact, more business owners are seeking out efficient water systems than ever before in order to save on their water bills and also to comply with tough water restrictions during the hottest days of the year. 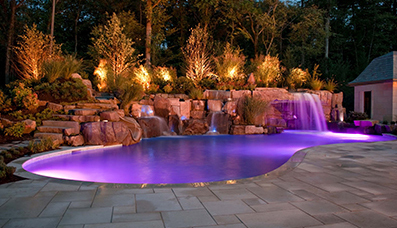 These property managers make the the most of their water by installing efficient commercial irrigation systems New Braunfels that can provide maximum performance while minimizing water usage. Drip irrigation is a low-volume form of irrigation that uses a network of valves, emitters and tubing to slowly “drip” water steadily to the roots of the plants in a landscaping setup. This sends water directly to where it needs to go instead of simply wasting water on the surface of the soil, or worse ending up on surfaces where it will not be used by the plants at all. There are many advantages of using drip irrigation systems in New Braunfels, including increased efficiency when it comes to plants. These systems can be designed and installed in both new and existing commercial landscaping and they can also help to maintain the look of the landscaping by reducing soil erosion, increasing water distribution and reducing the number of weeds that grow. 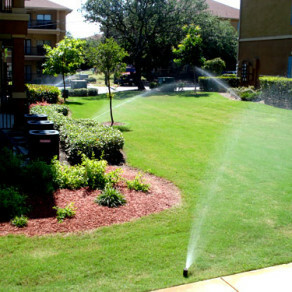 Commercial sprinkler irrigation in New Braunfels is a second option that we offer at H3O Water Systems and these systems are designed to mimic the effects of natural rainfall. They can be used on commercial properties to cover large areas, such as lawns. With these systems the spray pattern can be adjusted accordingly to the specific needs of the property and the water distribution is generally uniform. Serving the Greater San Antonio area since 2006, H3O Water Systems has over 100 years of combined experience in the water industry. 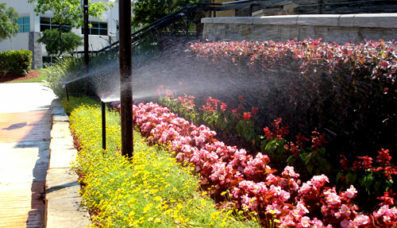 If you need assistance with commercial irrigation New Braunfels, we can help. Our expert irrigation technicians New Braunfels will install an irrigation system that meets the specific needs of your property. 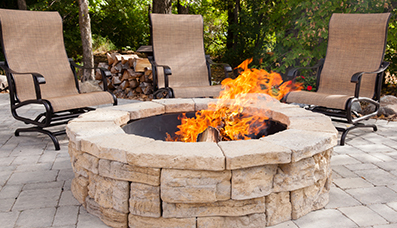 We can perform a free consultation to find out about your landscaping and hardscaping needs in order to design a system that will provide the best possible results.